During the time of natural disasters, especially flood which becomes more and more catastrophic and leaves more casualties each time it strikes, our challenge is to deliver a response immediately to the shelter-related needs in such harsh conditions and to provide solutions in the Recovery phase by repairing, rehabilitating and rebuilding houses. In 2011, HFHT prepares to respond to the nationwide disaster that affected more households in a larger scale than ever before. 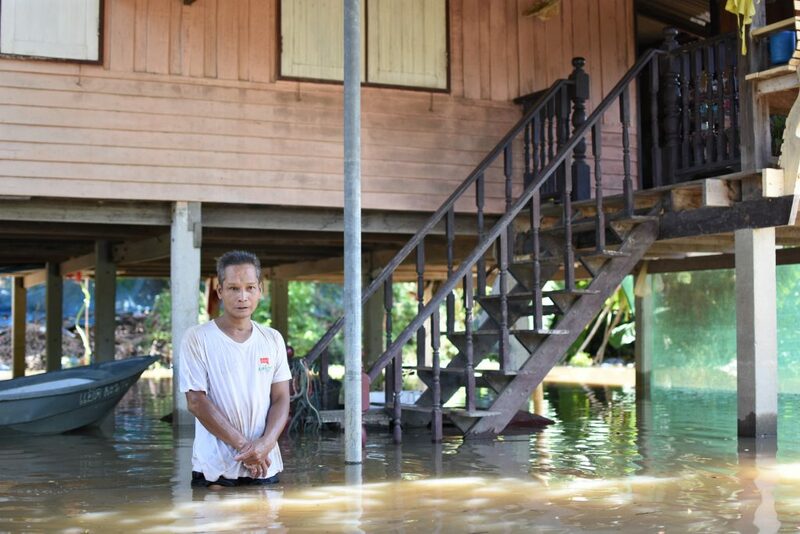 HFHT continues to work with private and public sectors to help flood-affected households in the 11 provinces of Phitsanulok, Uthai Thani, Lopburi, Saraburi, Ayudhya, Pathum Thani, Nonthaburi, Singburi, Uttaradit, Nakhon Sawan and Bangkok. Besides of the immediate emergency response to the people affected from the disaster situations. Providing survivor kits at the early stage to rescue and support for long-term prevention and protection by rebuild, repair and rehabilitation for more than 1,455 households in Thailand. This is also including for schools and multi-purposes building to communities which they are enabled to do other activities together after the emergency response program has finished.